Sen. Marco Rubio has a new Senate chairmanship but the same old tired perspective on Cuba. The new chairman of the Senate Foreign Relations subcommittee on the Western Hemisphere was at it again this week, criticizing President Barack Obama for the promising diplomatic overture he launched with Cuba. Rubio is out of touch with the public and on the wrong side of history, and his views hurt the cause of democracy in Cuba and the interests of Floridians. The Republican senator used the first congressional hearing since Obama announced a shift in Cuba policy to proclaim that he was “pretty convinced” the move would not lead to positive change. That’s not startling from a lawmaker who has clung to the falsehood that 54 years of isolation is working. But it’s irresponsible from a Senate chairman mulling a run for president and whose home state is an outsized player in the Cuba debate that stands to gain economically from an improvement in relations. Obama announced a further loosening of restrictions on Cuba in December, expanding legal travel to the island, increasing the amount of money that could be sent to Cuban nationals and authorizing new commercial exports to the island. Though only Congress can end the U.S. trade embargo, the steps by the administration will increase contacts between the two nations, giving those in the communist state more exposure to Western ideals. 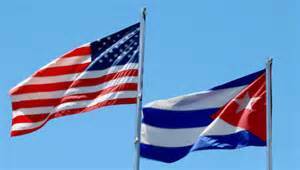 The president is also moving to re-establish diplomatic ties with Cuba, including opening an embassy in Havana. Improving diplomatic relations would have immediate benefits, enabling the two sides to better coordinate everything from drug interdiction efforts and disaster relief to immigration matters and oil spills in the gulf. The new trade provisions will help more Cuban families who are struggling to survive. They also will build Cuba’s nascent private sector and help open up society by clearing the way for new communications between the two countries. These efforts take time, and it is no easy haul to overcome the suspicions on both sides after a half-century as enemies. But that’s what isolation brought. It’s been a painful lesson for decades, but the American public has come around, and so have Cuban-Americans in Florida. Polls show a majority of Americans support opening ties to Cuba. That’s also the view of the large and influential Cuban-American community in South Florida. The Cuba Poll at Florida International University, which is the longest-running research project to track Cuban-American opinion in South Florida, found last year that two-thirds of those polled favored diplomatic ties with Cuba, while a slim majority opposed the embargo. The younger generation opposed the embargo by nearly a two-thirds majority. These are the voices Rubio needs to recognize and Congress needs to hear. There are serious differences separating the Cuban and American governments, and Cuba has a long way to go on human rights and economic freedom. But it’s senseless to pursue a course that hasn’t worked for a half-century and oppose positive reforms because they come from a Democrat in the White House.